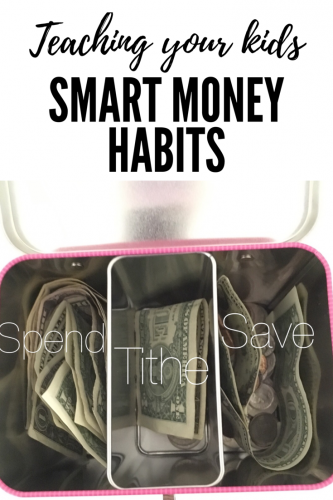 Teaching my kids wise money habits is so important to me as a parent. If they can learn how to handle money, budget, to save and spend wisely while they are young they will be so much more successful as adults. I would rather them make money mistakes with $5 rather than make the mistakes with $5,000. We have used a few object lessons to help get the point across, but we also have developed a money system that has been very successful in our family! There is more than one way to parent, these methods have worked for us, but they might not work for you. and that is ok! 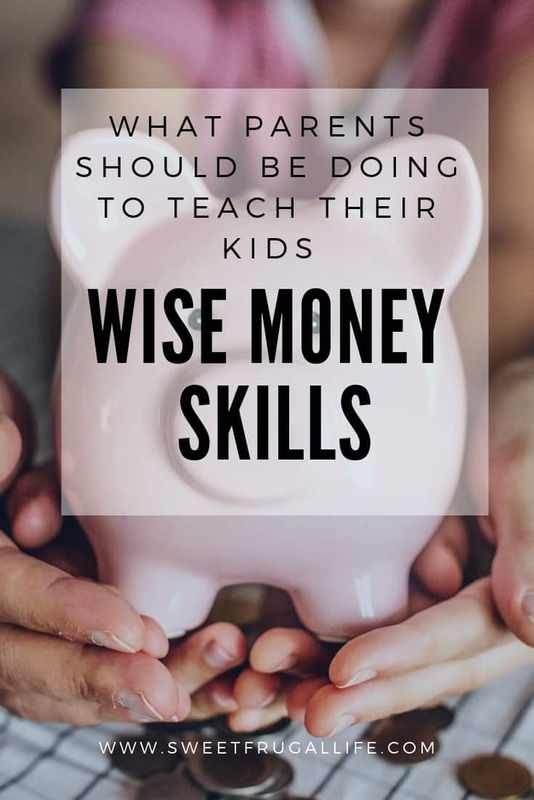 A few years ago I read Smart Money Smart Kids: Raising the Next Generation to Win with Money by Rachel Cruze and Dave Ramsey. This book is so well written and gives great advice for how to teach your children about handling money. I highly recommend it to ALL parents. Check it out from your local library or buy it on Amazon, either way, just read it! I have used a lot of methods from this book, but there are a few things I have chosen to do differently. I know, I know! There are a lot of people who are strongly against giving kids an allowance. I understand all of the reasons the anti-allowance crowd have. I really do. I get it! None of us want our kids to grow up to be spoiled or entitled. We all want our children to understand that in order to have money, you have to work for it. So why then would I give my kids an allowance??? I believe, if done correctly, allowance can be an essential TOOL in helping kids learn how to spend wisely. 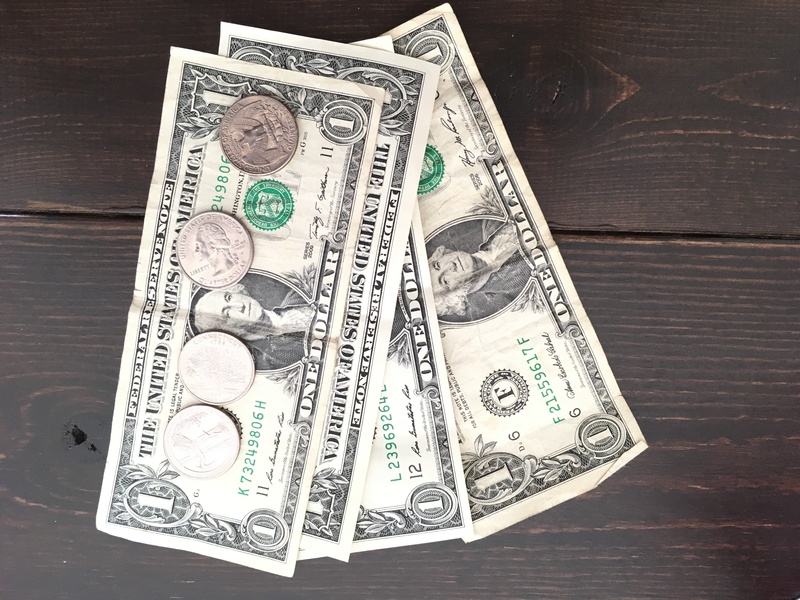 I received an allowance as a child….but, I was expected to buy my own clothes, make-up, shoes, extra curricular activities, outings with friends, etc. I grew up to be very responsible with money. I did not become spoiled, entitled or lazy. I did not expect a free handout once I became an adult. Instead I learned early in life how to budget and save and spend wisely. Instead of asking my parents to buy me a brand new pair of name brand shoes and being disappointed when they told me it was to much money; I instead was given a set amount of money and I learned to decide for MYSELF that the name brand shoes were to much money and I would rather shop around for a better deal. I am so grateful to my parents for helping me to learn this lesson. Once our kids turn eight years old they start receiving a small allowance of $5 a month. We teach them to save 20% and tithe 10% to our church. They can then use the rest of their money for spending. They use it when they want to go to a movie or other activity with their friends, they use it for buying birthday presents for friends and family, and any other thing they want to save for and buy. Once they reach age 13 this allowance amount will increase and they will then be expected to buy all of their own clothes. My oldest is currently 13 and we have been using this system with her for a couple of months. So far, so good! I decided on her allowance by adding up how much money I spend on her clothing and activities a year (nerd alert!). I divided that number by 12 (for 12 months), added a little bit of extra to help cover the amount she will save and tithe and I have come up with her monthly allowance. She will be receiving $20 a month and will be responsible for budgeting that money to pay for everything she is required to buy herself. I have been so proud watching my kids manage their allowance. They save WELL more than the expected 20%, and have been so responsible with their money. My oldest has learned to shop at discounted clothing stores; such as Ross, TJ Maxx, Uptown Cheapskate, etc. Instead of complaining to ME when something costs to much, she gets to make that decision for herself. I honestly wouldn’t parent any other way. 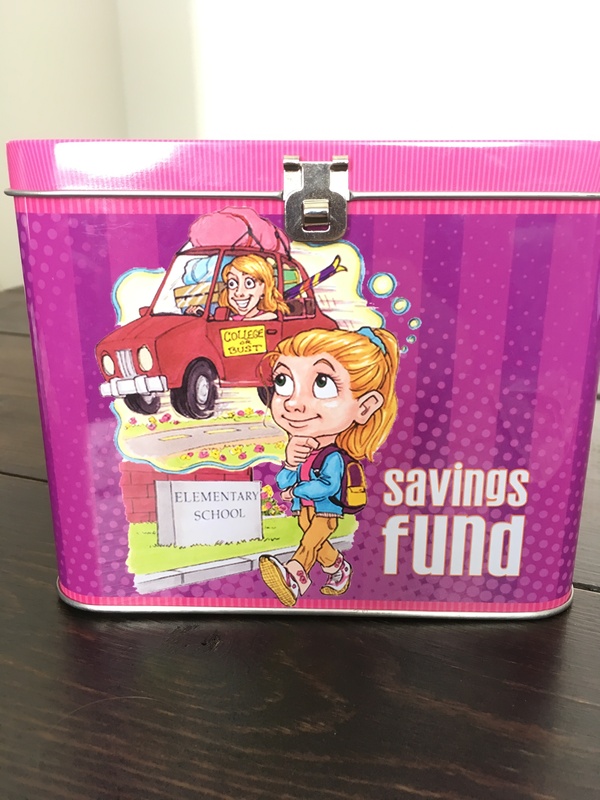 When our kids turn 8 and begin to receive an allowance we buy them a savings tin that we found on Amazon years ago. I couldn’t find the exact savings banks that we bought for our kids, but I did find a similar version! These tins have three separate slots for saving. They make saving just a little more fun for the kids. My kids love having their own key to lock their money in their personal bank, and it makes separating the money easy. You do NOT need to spend money on savings banks though. Feel free to set your kids up with three envelopes or three jars, anything that will store money will work! The very first things our kids do after receiving their allowance is go get their savings bank and tithe 10% to our church, save at LEAST 20% for their future, such as college and a car. I ry to pay them using change to make it easier to tithe and save. If it’s time for their monthly $5 allowance then I will give them 4 one dollar bills and 4 quarters. They know that two quarters go into their tithing bank, one dollar in their savings and the rest into spending. More often than not they save MUCH more than the required 20%. 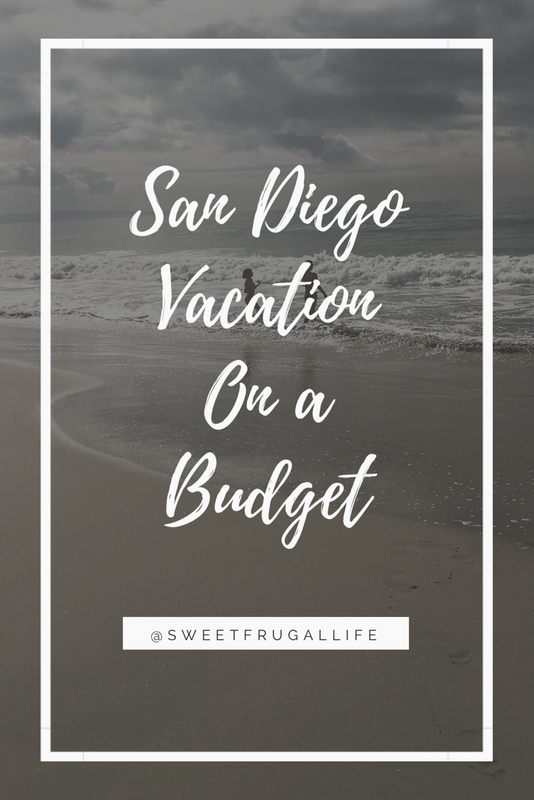 They understand that they will be responsible for a lot of their future expenses and are very motivated to save for those moments. Each of the kids have had moments in the store when they have fell in love with a toy. I always remind them that they have their own money to spend and if they want to buy it they can. So often they have expressed that that particular toy looks fun, but is just not worth spending their hard earned money on. They choose wisely when they make purchases. My kids do not get paid for the majority of their household chores. I do pay them a small amount for what we call “paid chores.” A few months ago one of my kids was continually not getting completing her chore taking care of our chickens. (this is a chore she gets paid for). When this happens I don’t nag them, I just go outside and do it myself. 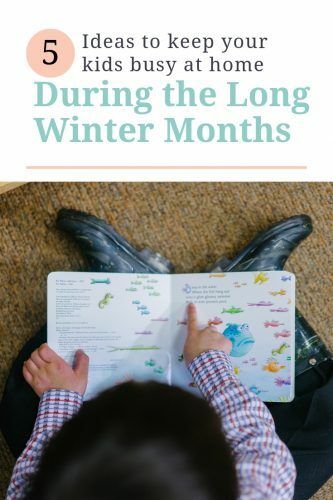 The end of the month came and one of my kids earned her full wages, the other child who had not been making her job a priority earned very little. She was very disappointed by this, and the next month she was outside first thing every single day making sure she was getting her job done, she did not miss a single day that month. 4. It feels good to give. We teach our kids that paying a tithe to our church is a way to help and bless others who might not have much money. 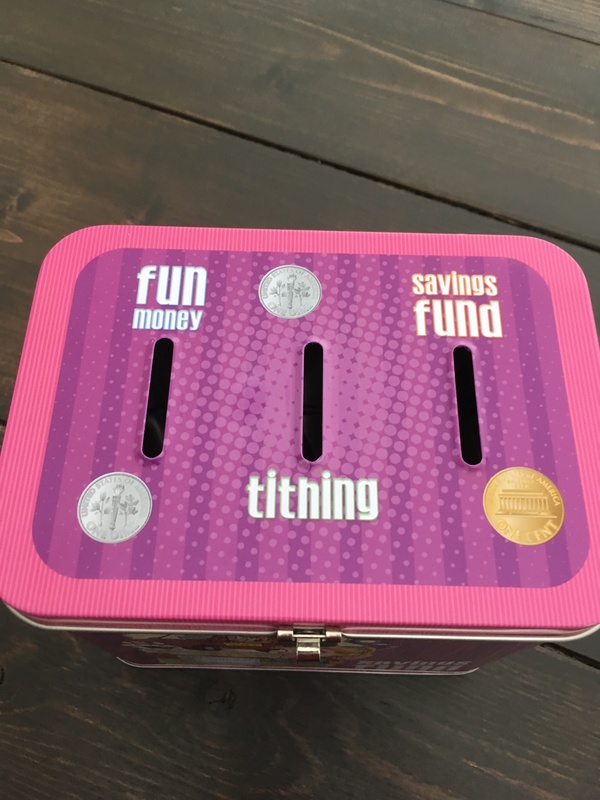 My kids love to stuff their tithing bank full of money, they have mentioned to me that they want to help other people and would rather give them money than buy something at the store that will only be fun for a day. These are just a few of the things that have worked for our family. I have loved watching my kids make mistakes with money and then learn from those mistakes. It has been amazing when they begin making smart money choices all on their own. 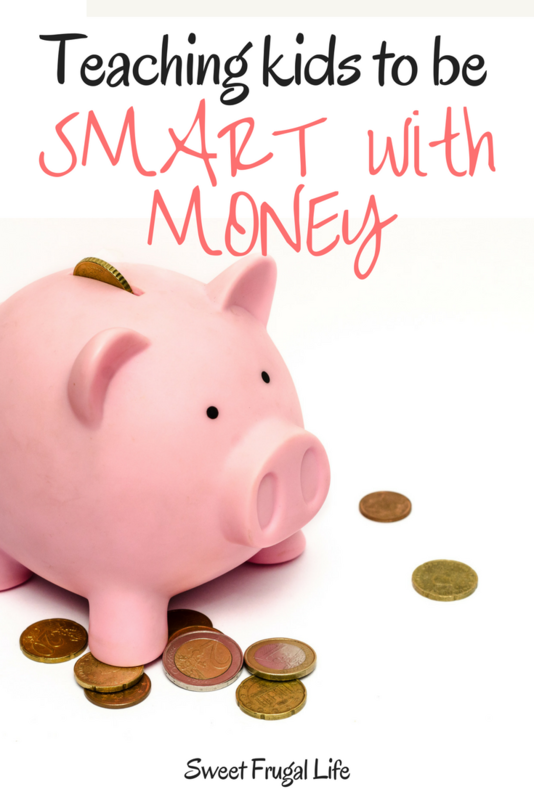 What are some methods that have worked in your family to teach your kids money smarts? I am constantly trying to learn and improve in whatever ways I can. Love this! I really need to implement this with my 5-year-old. That is a great age to start! Very helpful tips. I have been considering starting an allowance for chores with my almost 8 year old, but I wasn’t sure if it was a great idea. But I think I will try it out for sure. It has worked really well for us! I honestly think that educating kids about smart money habits will save them as adults. It’s just so important, especially with people’s spending habits these days. Being responsible with money is just as or more important than making good money! Thanks for sharing. I really love this. I’m about to become a mum and have been thinking about spending habits and how we want to raise our baby. I still have plenty of time but I really love this system. My parents were good with money. They didn’t have much when we were young but have become very comfortable in their retirement through hard work, saving and sensible investing. It isn’t something we talked about so much though. I couldn’t tell you the steps they took to achieve their wealth.